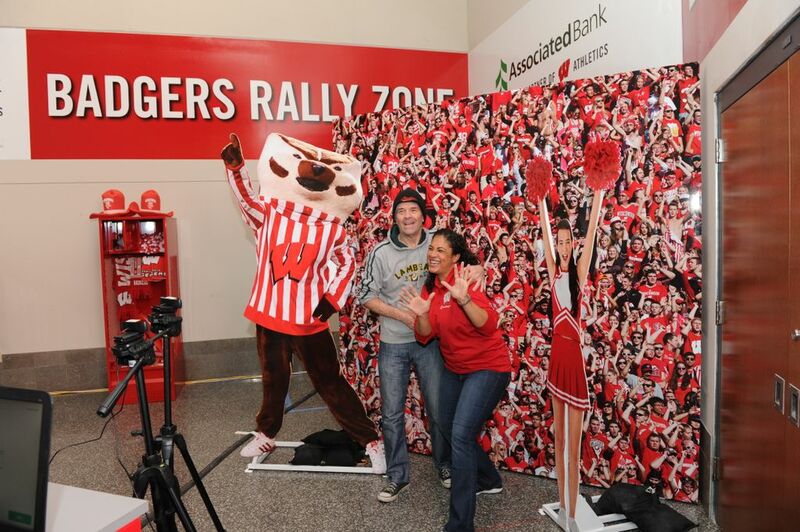 MADISON, Wis. – January 19, 2016 – Associated Bank and the University of Wisconsin – Madison Athletics are deepening their longstanding partnership by adding unique Badgers basketball and hockey fan engagement activities during home games at the Kohl Center. 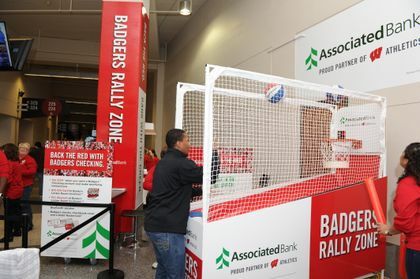 Fans are invited to visit the Badgers Rally Zone, a first-ever interactive fan experience on the second floor concourse at the Kohl Center, which will feature two challenges during the sports season. 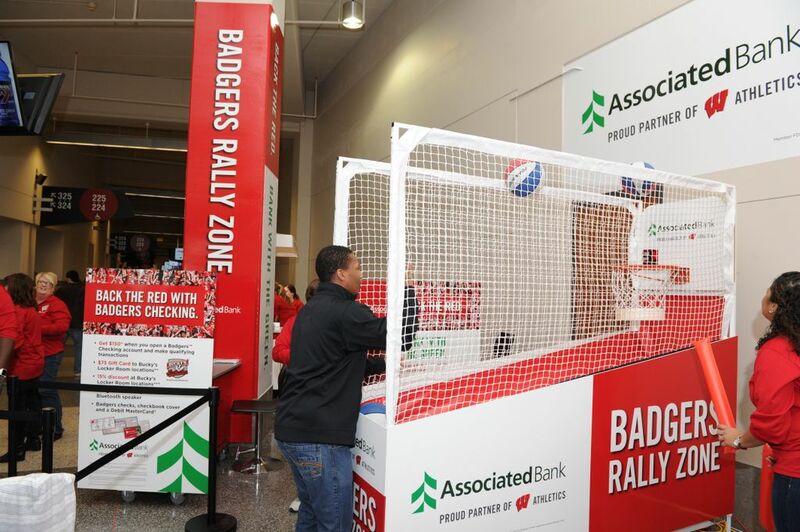 During men’s basketball games, fans can participate in Pop-a-Shot™ to challenge their basket-shooting skills against a clock and during men’s hockey games, fans can play Air Hockey to see how many goals they can score before the clock runs out. To celebrate their score, they can also visit the “Rally Cry” 3-D photo stage to pick out sports props for a fun photo session and receive a photo printout, plus a digital copy for social sharing. Each time fans participate, they will be entered in a sweepstakes to win the co-branded Pop-a-Shot game or Air Hockey table at the end of the season. In addition, all Badgers™ Checking customers will now receive a 15% discount on purchases at Bucky’s Locker Room™ when they show their checks or debit card. New customers can score a $150 cash bonus* and a co-branded Bluetooth speaker when they open a Badgers™ Checking account on-site at the Kohl Center. Or, they can choose to stop by a local branch or visit www.AssociatedBank.com/Badgers150 to open an account and score $150. The partnership between Wisconsin Athletics and Associated Bank is overseen by Badger Sports Properties, a property of Learfield Sports and the university’s exclusive athletics multimedia rights partner. *Offer expires May 31, 2016. Minimum opening deposit of $100 required. Customer must also complete qualifying transactions within 45 days of account opening.